SAN FRANCISCO, Calif. /California Newswire/ — EPIC Insurance Brokers and Consultants, a retail property, casualty insurance brokerage and employee benefits consultant, announced today that it has been named a 2016 Elite Agency for the second year in a row by Insurance Business America, a publication that reports on the latest achievements in insurance and also provides the latest in business best practices in a continually evolving industry. EPIC was included in the list of 50 top agencies due to its tremendous growth since inception in 2007, from $12 million in revenue to an expected $250 million by year-end. 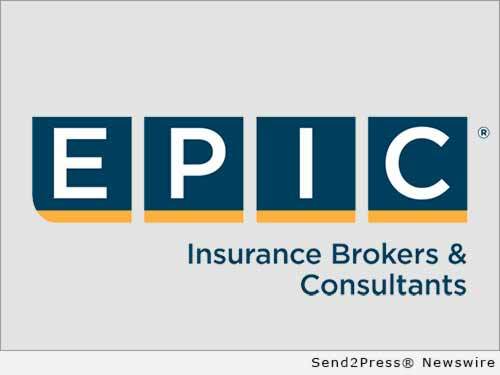 With a focus on upper-middle-market accounts, EPIC provides brokerage and consulting services through four primary business units: property & casualty, employee benefits, specialty practice and programs and private client services. The firm was also recognized for its national construction specialty group, the growing market opportunities of its specialty programs division and the recently launched cyber risk and insurance portal for small to mid-sized businesses. To view the full list of 2016 Elite Agencies, go to http://www.ibamag.com/us/rankings/elite-agencies-2016/.